Penrith – where men’s dreams can come true! A doggie friend of mine sent me the picture above and because Teagan is a ‘nice’ friend she didn’t want to use this picture on her blog because her blog is about walks in the lovely Dorset countryside and all sorts of other gentle country practices. As you know if you are a dear cuddly reader my blog is a little different to Teagan’s and I like this sort of thing – no silly not the practice advertised on the sign but pictures which demonstrate signwriter’s mind fade and that can make you laugh at other’s silliness. 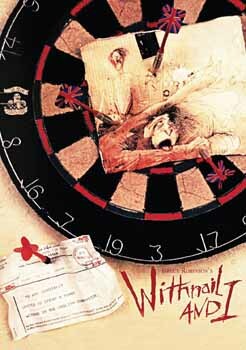 Incidentally, Penrith (the town mentioned in the railway station sign) was the one of the locations for a marvellous movie ‘Withnail and I’ if you haven’t seen it you should and soon, it is in my opinion one of the funniest movies ever made. To read more about there movie have a look at Wikipedia here Withnail and I on Wikipedia and if you want to just take my word for granted then you can buy a copy of the movie here at good old Amazon.com Withnail and I at Amazon it will make a great Christmas stocking filler or just a little reward to yourself for being one of the nicest people you know! Mind you if you want to help me earn a crust or Prawn then do click the picture link below which will take you to Amazon.com. In fact it will take you to the most economic (cheapest) copy I could find of this must have movie. Obviously there is no pressure to click the picture link, it isn’t as though your dear good friend The Cat is dying for Prawns, but they are like him – rather nice! Aren’t they and everyone deserves a treat sometimes don’t they? Lastly if you want to visit Teagan’s blog here is a link Teagan Times I think that Teagan’s blog has some of the nicest pictures of a black Spaniel you can find and some interesting facts about the countryside in Dorset, all of which makes her blog a rather good read. Gosh that was a lot of links. I don’t like to add a lot of links to my blog as you know so this must be a special edition. The main reason I don’t add many links is that writing in HTML gives me a headache but today is a special case. Of course I have checked all of the links to make sure they work, except the buy from Amazon one and the only reason for doing that is that I have a feeling that a Cat could get himself into hot water by clicking the nice picture to see if it works and getting paid for it. I believe that was a practice that hit Google and their pay for click ads a few years ago when millions of Chinese, and other shady characters earned a fortune by just clicking ads. Naughty Tiddlies!